Accountants talk about internal controls for businesses: procedures put in place to prevent a business from failing at some objective, and to detect such failure if it happens. Some controls prevent employees from being tempted to cheat the company (such as using pre-numbered checks so that it is obvious when one is not accounted for). 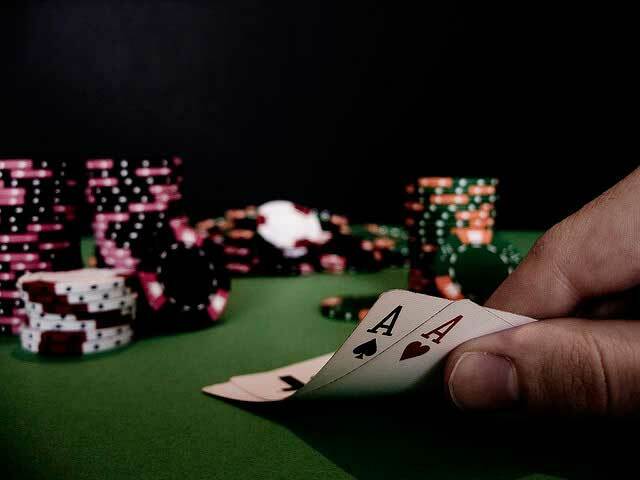 Most home poker games happen without any set of controls, or “house rules”, other than the usual rules of poker. And most of these home games occur without a hitch. But everyone who’s played poker long enough has a story about the night when there was a huge pot, and an irregularity occurred (e.g. four cards on the flop), and fisticuffs (or worse) ensued. These five simple rules will prevent most situations that lead to trouble, hurt feelings, or the temptation to cheat. I’ve developed these strictly from lessons I’ve learned the hard way over the years. The higher the stakes, the more important they are. “The decision of the floorperson is final” – Every home game needs someone who has the final say in disagreements. Usually that will be the game host, or someone trusted by all the participants. It should be explained from the get go that if there are any disputes that cannot be resolved by democracy, the “floorperson” will be trusted to make the fairest ruling possible, and all parties have no recourse beyond that. This is the same thing we all agree to every time we set foot in a real card room. Don’t touch anybody else’s stack – How obvious is this one? Yet I see it ignored every single time I play home games. If you need change, ask for change. If you want a chip count, ask for a count. If they’ve got a dirty stack, or their higher denomination chips are hidden, politely ask them to correct it. One person is the banker – Ideally, this would not be the same person as the floorperson if possible. This person is responsible for keeping the case of chips, and the cash box, somewhere out of reach from the table, and is the only person who touches these. Ideally, a spiral-bound notebook should be kept with the cash box. Each night you have a game, the banker should start a new page and mark down the participants (nickname only if privacy is a concern), buy-in amounts and any rebuys, and amount they cashed out at the end of the night if any. This information can be critical when the cash box comes up short, or especially when trying to analyze who was there on particular nights when long-term cheating of some sort is suspected. Get a unique set of chips and cards – If you’re organizing a home game where the black chips are worth $100 or more, you can’t use chips that can be bought at Wal-Mart. It’s just too tempting, ever for normally honest people, to sneak in an extra black chip after a particularly bad night of cards. At the end of the night, the cash box will come up $100 short, everyone (including the offender) will look puzzled, and mostly likely everyone will have to pitch in. I’m not going to promote any particular vendor, but there a plenty of sites that will make you a personalized set of chips for surprisingly little dough. Even this isn’t foolproof, but it’s a good deterrent. Along with this, buy several decks of quality plastic cards with a unique design. This isn’t quite as crucial as the chips, but you never know. When you’re not involved in the pot, it isn’t your business – I’m putting this one last because, unfortunately, this isn’t so much a rule that you can force on all the participants, but more of a rule to live by that will keep you out of trouble in the long run. Once you've folded, there’s no reason for you to get involved in dividing split pots, pointing out that so-and-so shorted the pot by five bucks, making change, calling a shown hand, or anything else. (Of course I’m talking about cash games here, not tournaments, where every hand is technically your business.) Many players disagree with me strongly here. They say it’s our duty as players to ensure fairness for all, but I've found what really motivates them is their desire to be a “know-it-all.” From a practical standpoint, you’re bound to make some genuine enemies when you meddle. I’ve watched dozens of pots get pushed to the wrong player, and I never say a word.